Travel aboard the elegant eight passenger historic wooden boat, the M/V Westward. An 11-day/10-night expedition among the scattered islands along the Baja peninsula begins with an overland visit to a gray whale breeding and birthing lagoon with up-close whale encounters. Following that adventure we’ll return to Baja’s east coast to board the M/V Westward and begin exploring islands and coastlines, desert ridges and palm-lined arroyos, snorkel among the fish and young sea lions, visit a remote fishing village and kayak into a mangrove lagoon. 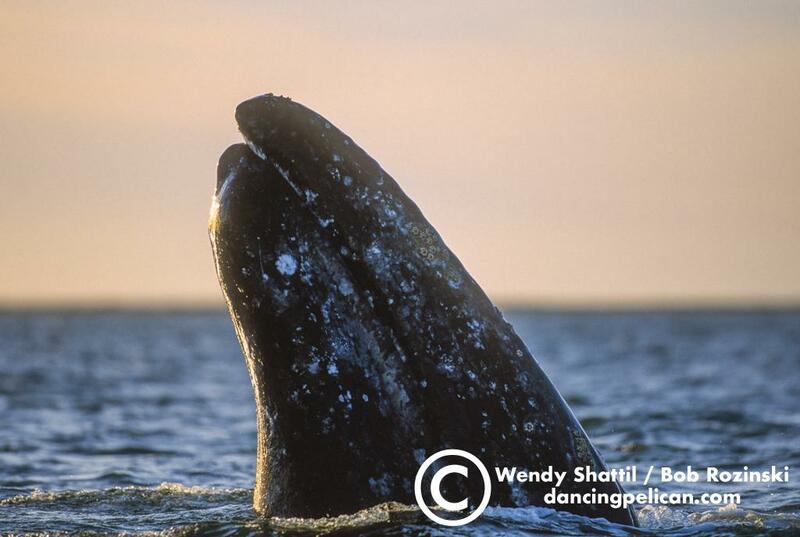 Upon reaching La Paz, Baja California, we’ll begin a three-day land-based trip, traveling west across the peninsula to one of Baja’s three gray whale birthing and breeding lagoons. 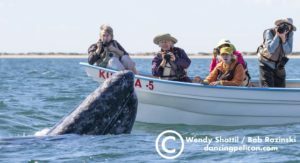 We’ll make two trips into the lagoon in small open boats to watch, photograph and perhaps touch, Baja’s friendly gray whales. 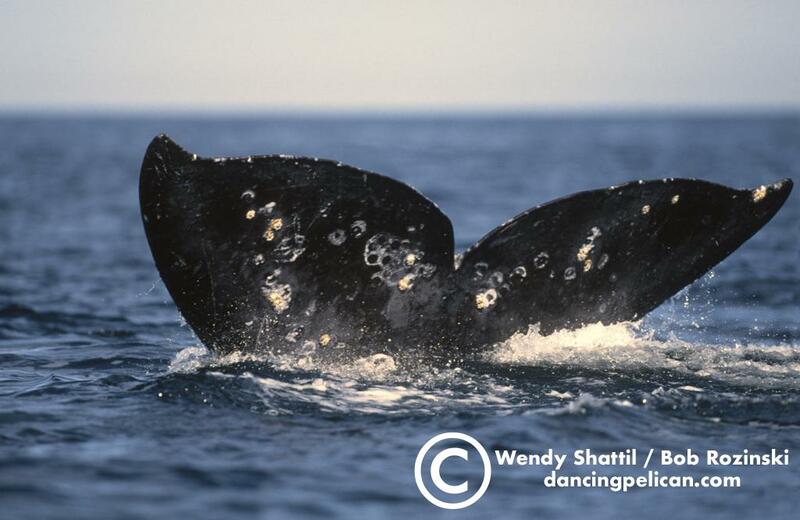 All costs for accommodations, transportation, meals and whale watching expenses are included. Following our land-based adventures, we’ll spend eight days and seven nights cruising to Loreto on the 86-foot historic wooden boat, the M/V Westward. Along the way, we’ll visit beaches made famous by John Steinbeck’s account of his collection trip through the region with Ed Ricketts in the 1940’s. We’ll walk deserted beaches, kayak through twisting mangrove lagoons, and hike trails across unpopulated and remote islands. We’ll look for the three species of great whales that are encountered here: blue, sperm and humpback whales and may witness the spectacular leaps of mobula rays or huge manta rays, which are up to 12 feet across! Brown pelicans fishing, nesting frigatebirds, green sea turtles and wading birds may be glimpsed along the way. To reach La Paz most conveniently, fly to San Jose del Cabo where we’ll be driven by van to La Paz to begin the trip. At the end of our voyage the itinerary is set to coordinate with air transportation in Loreto on an Alaska Airlines/Horizon Air flight to Los Angeles. We provide transportation to and from the airports for our guests. 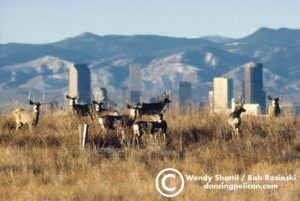 All land tours and airline pick-ups will be hosted by a member of our crew. Built in 1924 and thoughtfully restored to comfortably accommodate eight passengers in four staterooms with ensuite heads and showers. Westward features a wood paneled salon with mahogany trim, where we view our images, programs and videos on a flat screen television. Meals and snacks are served on the aft deck with a 270 degree view of our changing surroundings. Sumptuous and delicious meals are prepared with fresh, natural ingredients, many locally sourced. 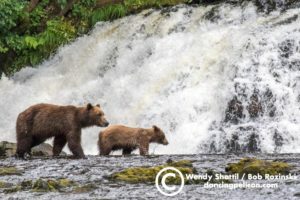 The crew includes the captain, gourmet chef and a seasoned naturalist to acquaint us with all that we see and experience.